At Lotus Village Yoga family and friends are the culture. LVY is the perfect home to continue or get started on your yoga journey. 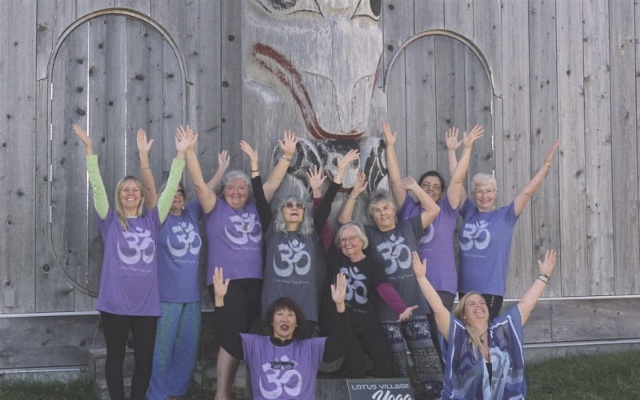 Did you know that LVY is offering TWO spectacular summer retreats in Haida Gwaii? Spend a week focusing on cultural discovery, incredible excursions, and mind-body rejuvenation. 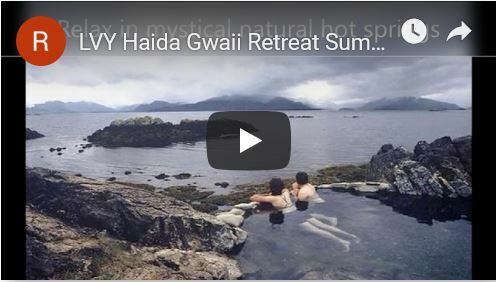 View the video and check out our favourite memories of Haida Gwaii! Take time for yourself to relax and reenergize by participating in a yoga, mindfulness and meditation workshop or retreat. Further your daily practice and escape the stress of your everyday routine to reconnect and restore balance. Check out our monthly newsletter for all the latest info on LVY! 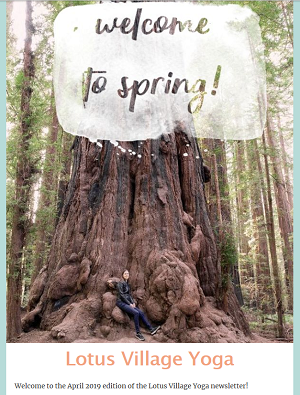 Learn about upcoming classes, workshops, and retreats, check out the latest recommended reading, and get special early-bird deals! A traditionally taught practice with pranayama, asana and svasana to begin and end the session. Discomfort rises as we sink into a posture for minimum of 5 breaths with a focus on proper alignment to prevent injury. Slower paced yoga practice with deep stretch and longer holds balanced with focused deep breathing. Benefits include better sleep and excellent support to balance out activities like cycling & running for injury prevention. 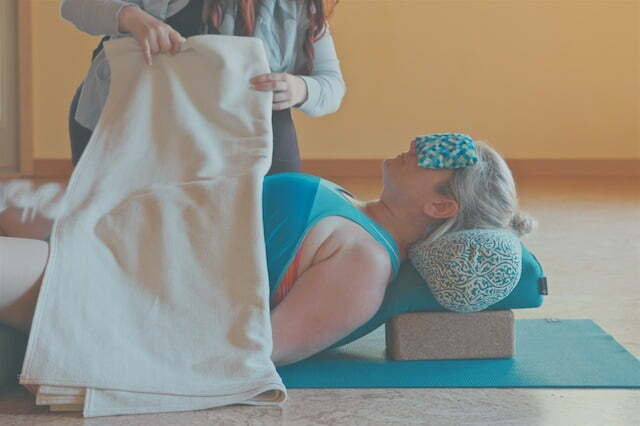 Enjoy gentle poses using therapeutic props, supportive, and relaxing guided Yoga Nidra. Small slow movements in a modified range of motion. Excellent for trauma, chronic pain, injury, and stress management. A specific class for cross training, stretching education on muscles, and a challenging flow yoga practice for athletes. Learning regular and daily practices through structured classes to purposefully pay attention to the present moment/revitalizing health, reducing pain, and developing a healing practice. To ensure the best possible yoga experience, LVY caps all its classes at 13 students. 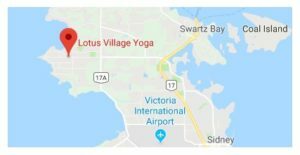 The low numbers mean you get more one-on-one time with your instructor, a tighter knit community, and a comfortable spacious yoga environment. Inner & outer strength is the secret to better performance for any athlete. Yoga for Athletes is designed to give athletes of all levels increased strength, flexibility, balance, agility, plus the addition of training to stay in the “zone”. Deepening focus and concentration through mindfulness techniques. Everyone has different personal goals in yoga. 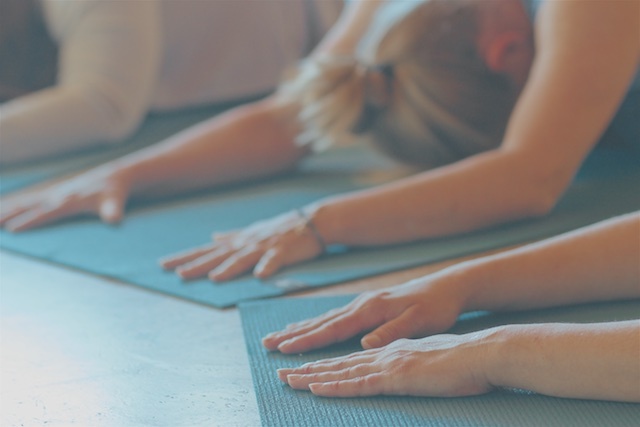 A private session with LVY’s professional instructors will allow you to focus on what you want, be it improving flexibility, mastering that challenging pose, or finding a deeper level of meditation. Book a private session to help you reach your personal yoga goals. Gentle yoga practices suited to all ages and abilities focused on relaxation and healing. Our therapeutic yoga sessions help manage stress, depression, anxiety, trauma, chronic pain, insomnia and physical illness. The easiest way to stay up-to-date with all of LVY's latest happenings. You can help us grow our community by taking a minute to rate and review us.